The Cold War Air Museum Mil Mi-24D Hind helicopter, Bord 118 received it's airworthiness certificate today and is now a flying aircraft! 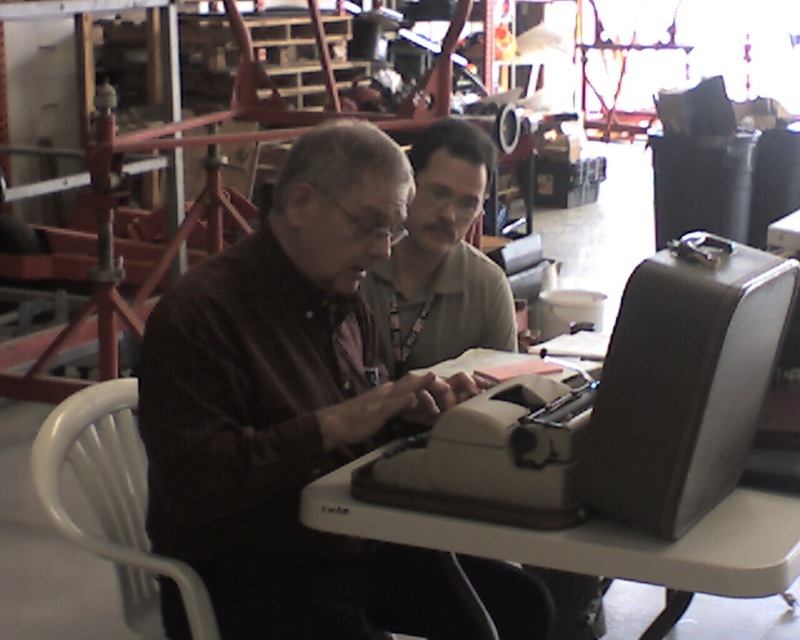 As the final step in a six year process, the museum was visited by FAA Aviation Safety Inspectors from the Fort Worth MIDO (Manufacturing Inspection District Office) who reviewed Bord 118's paperwork and did a final inspection of the aircraft before issuing an Experimental Exhibition Special Airworthiness Certificate. 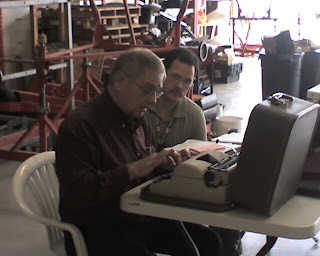 Noting some discrepancies in the pre-printed Airworthiness Certificate that they had brought with them, the inspectors required a manual typewriter to be located so that the certificate could be filled out. Amazingly, we were not only able to find one on the airport, but one with a fresh ribbon! Here Bruce is seen proudly accepting the airworthiness certificate for the aircraft. After a five hour "Phase 1" test flight period, accomplished over the next week or so, Bord 118 will be ready for the 2010 airshow season! A print from Aviation Graphics (shown below), depicts 118 as originally painted and equipped. Kudos to the team. A truly magnificent accomplishment. I await the flights with great anticipation. The blog looks good as well as very interesting. 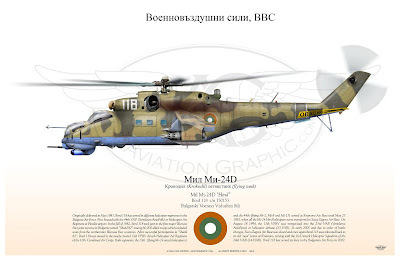 The final decision has been taken and Mi-24D HIND now has been sanctioned for flight.